Did you hear it? Did you…..?????? We are of course referring to Blue’s UK entry, I Can. But in case you didn’t…..
So…….the question we’ve all been wondering for many many weeks now is, just who is going to represent the UK at Eurovision this year? Someone who finished seventh in The X Factor once? No. Some no-mark pantomime star singing a tune which was composed on the back of a napkin in the dressing room two minutes before showtime? No. Penry the mild mannered janitor? Could be…..except it’s none of those people. It is in fact that somewhat – we say somewhat as they’ve been off the scene for a few years – boy band Blue. Yup, not content with making their own solo bids to represent the UK (Anthony Costa in 2006), announcing the UK results in 2009 and acting as a judge on 2009’s Your Country Needs You (take a bow, Duncan James) this year the band themselves are actually flying the flag for le Royaume Uni in Dusseldorf. But wait, there’s more! Not only do the public not have a say in choosing the artist for the first time since 1994 (when Frances Ruffelle was dispatched to Dublin by the BBC and came home with a 10th place for her troubles) but for the first time EVER we don’t have a say in choosing the song either. That’s right – it’s already been picked, and is a brand new Blue composition called I Can. No word yet on when we’ll hear it, but it’ll be featured on a documentary about the band’s preparation for the contest, to be screened in April. And you know what? We have quite a good feeling about this. OK, so Blue have been pretty much off the scene since 2004 but the fact remains people still know who they are, the various members have remained pretty high-profile since the height of their teenage girl-screaming knicker-hurling fame, and perhaps crucially – THEY CAN SING LIVE. They’ve duetted with Elton John, don’t forget, and he doesn’t just sing with anyone. And let’s not forget the fact that they’re also pretty well known in Europe, having sold albums by the bucketload both there and at home. OK, so we can’t vouch for how many are now sitting in the 9 Euros bargain bin at record stores across the continent but at least they sold them. As for the song already being selected, well that is bound to ruffle a few feathers, given that the UK public is so accustomed to choosing it themselves. But there is a part of us which thinks: well given what a bad job you’ve made of that in recent years, what’s the point? Part of the problem the UK has had with Eurovision recently, we feel, is that the vast majority of the country appears to still think it is some great big continental joke, and henceforth we can treat it as such. How else do you explain Scooch in 2007 for example? It is years since we have chosen a song that could truly be regarded as a seriously decent contender (in the years when we’ve had to choose a song rather than singer that is), and the voters going for some load of nonsense en masse then blaming it on neighbourly voting or the UK being hated on account of some decade-old war when it scores about four points only serves to highlight this. Basically people of the UK – you blew it, so now you don’t get to choose. The point is, as we should have realised last year, is that there is no reason WHY the UK shouldn’t be able to win this contest – if Germany, who were in much the same position as us until last year, can do it then anybody can, regardless of political allegiance, wars, whatever other excuse you may care to drum up. Nobody is to blame for our recent failures at Eurovision but ourselves. So why should you have the chance to screw things up again this year? If we’re being honest, we do have a few reservations – namely the fact that Blue haven’t been around for a while, that they’re no longer at the height of their fame – but frankly these are quite small quibbles, because there’s also no reason why they can’t use this to make a successful comeback, given how popular they once were. At least it’s a sign that the UK has finally realised we need to take this contest seriously if we’re ever going to stand a chance of winning again. And whatever we may think of Blue’s song personally, you can guarantee we’ll be backing them all the way. Now then, where’s that I Heart Duncan scarf from 2004 got to……? We were however surprised to discover that the song is actually performed by a bloke called Dave. Well that doesn’t sound very Romanian does it (and in fact there is a sad shortage of Daves in Eurovision, although the last one we can recall won the damn thing for the Estonians in 2001). Turns out Romanian Dave, as we have now renamed him, is welder-turned-singer David Bryan, a Newcastle native who now lives with his girlfriend in Romania and was discovered by Hotel FM’s manager performing at a karaoke contest. But it would seem he’s not the only Brit who is hoping for Eurovision success in Dusseldorf. Scottish teacher Nicola Barclay is in the running to represent Azerbaijan after making it through their preliminary heats. The 26-year-old, who is a PE teacher at the International School of Azerbaijan in the capital, Baku, made it through as a wildcard after the judges declared they were “amazed” by her vocal skills. Meanwhile British singer Lisa Maffia, a former member of So Solid Crew (remember them? Frankly we’re struggling to……) is rumoured to be in the frame to represent Bulgaria with her latest song, Shut Your Mouth. All of which beggars the question: if these people are so keen to sing for other countries, why can’t they do it for the UK????? Surely it has nothing to do with the fact that the UK has become a byword for unspeakable naffness on the Eurovision stage thanks to songs which sound like they were composed on the back of a napkin two minutes before show time? Nah, course not. 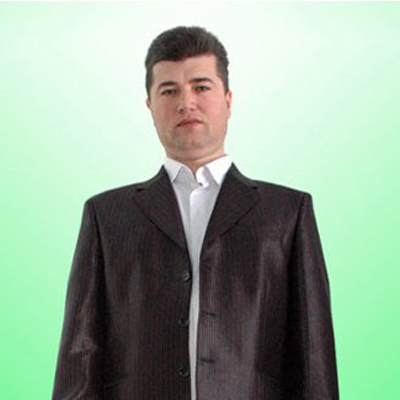 Anyway, here’s what to expect from Romanian Dave…..
We’re not sure but it might possibly be the shiny, Officer’s Club-esque suit that does it for us. 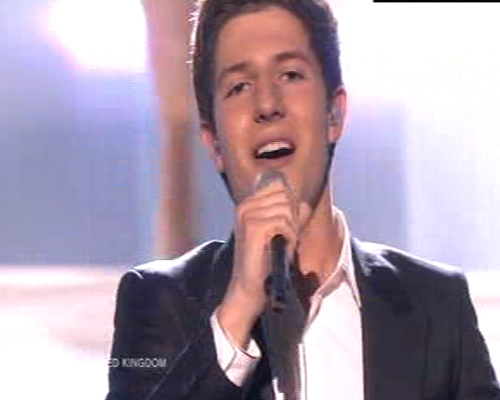 Maybe Josh could consider a post-Eurovision career in Moldova……? Absolutely The Last Final Word. Possibly….. So once again, entirely as most people predicted, the UK slumped to a resounding defeat on the Eurovision stage (granted we didn’t finish quite bottom of the heap, having seen the number of points scored by both Slovenia and Switzerland in the semi-final – which when combined still wasn’t more than the paltry 10 scored by Josh on the night – but anyway….). And once again we can hear the sound of cynical vitriolic pens being sharpened, all too ready to trot out the usual reasons why the country no longer does well at Eurovision. Of course in any other year those reasons might have stood up – Europe doesn’t like us, it’s all dominated by the East, it’s become a vote for your neighbour contest, the West never gets a look in anyway, nobody likes the Big Four countries because they qualify automatically, and so on and so on ad infinitum. Except something happened last night which renders all of the above null and void. That something was Germany – a Big Four automatic qualifier, a Western European country, and one of the longest standing participants in the contest – taking top honours for only the second time in Eurovision history. And the mere fact that happened does in fact prove just how much the above have been used as scapegoats to justify the UK’s constant ‘poor little us’ bleating over their lack of success in the last decade. Because (and let’s leave the issue of jury voting aside for a minute) Germany proved that with the right song, with something fresh and modern and contemporary that appeals to a wide audience, it is perfectly possible to win Eurovision regardless of who you are. Not only that, but it’s even possible to win the contest even if you have been lucky enough to get that golden ticket into the final, that nobody is actually going to resent you for it if your song is good enough. But leaving aside the German triumph for a moment, let us consider the case of the other Big Four countries, France and Spain. The latter, while not exactly helped by the stage invasion of Jimmy Jump, still had a sweet lilting song which appealed to many while France was one of the biggest surprises of the night for us – yes, the song was complete Eurotrash but it was performed with such energy and drive as to become a real crowd-pleaser. No surprise to us, then, that both countries – while not exactly setting the scoreboard on fire – achieved perfectly respectable scores, certainly far from the 10 points awarded to our Josh. So ultimately (and as Graham Norton said last night) there’s a lesson to be learned in all of this for the UK, namely that the fact we came last has nothing to do with the Big Four countries being unpopular and everything to do with the fact that our song was complete and utter nonsense, and that frankly we can’t carry on hiding behind the ‘nobody gives points to Western Europe’ excuse any more. The mere fact that we did so well in 2009 should prove just how different things can be when we make a little effort and take the whole thing seriously – but just why, exactly, did we feel the 2009 effort was sufficient enough for us to go back to our bad old ways in 2010 and just submit some random old trash, thus only further fuelling the public perception of the UK as singularly useless on the Eurovision stage? Listen folks, if a Eurovision nation as long in the tooth as Germany can win this whole thing, there’s no reason why we can’t too, but we HAVE TO START TAKING IT SERIOUSLY EVERY YEAR, not just do it once and assume that’ll be enough to set things straight. Here’s a good idea for starters. How about next year, instead of trying to come up with what we consider to be a typical Eurovision song, we put our heads together and come up with – well, a song? After all, how many of the winners of the last few years have sounded like the kind of camp, cheesy, boom bang a bang-esque Eurovision winners of the past? Er, none of them actually. Lena’s winner certainly didn’t. And come to think of it, with the possible exception of Denmark, nor did any of the other songs in the top five. It’s just a thought, but it would be a start at least. And then we might find that in fact the rest of Europe does quite like us after all. ……to our very own Josh as he prepares to make his way to Oslo – but he’s not flying there, oh no. According to BBC News, the Royaume-Uni representative is travelling to Norway by land to try and avoid delays created by Iceland’s volcanic ash cloud, and is about to undertake an epic 36-hour journey (parts of which will be shown during BBC3’s Eurovision coverage) to get there. So Europe, please, when you come to vote just bear in mind the Herculean effort the lad has made to get to the contest and be nice to him. And in the meantime Josh, you might want to start giving some thought to how you’re going to get back again……. The Your Country Needs You 2010 Liveblog! Welcome to the live blog for Your Country Needs You 2010, the UK’s national final…..
20:04 Nothing to see here folks. We are watching EastEnders ahead of YCNY kicking off at 2030. Not sure how we are feeling about this year’s show. Can’t help feeling after the Herculean effort made in 2009 we’re being a bit half-hearted about it this year and by 2011 we’ll be back to chucking out any old nonsense song cobbled together two minutes before the submission deadline. Still, we shouldn’t dismiss the man who gave the world Rick Astley completely out of hand. Errrrrr………..
20:06 We’re bored. If you’re reading this, tell us what you’ll be eating during the show. 20:30 And we’re off and running! 20:32 It’s clips a go go. 20:34 Enter Pete Waterman. So, since Andrew Lloyd Webber played piano for Jade in Moscow last year, can we expect him to appear on stage in Oslo, possibly as one of the backing dancers. Er…. 20:40 All of the contestants are singing classic Stock Aitken Waterman songs before their numbers are whittled down. First up is Karen. She is singing Kylie. She is not good. 20:42 “It’s so difficult being the first,” Graham Norton tells her. So…..you also thought she was rubbish then, Graham?? 20:45 Alexis is up. He is singing Rick Astley. Let’s just overlook that point for now shall we? He is rather sweet and appealing although whether his voice is strong enough is another matter. 20:50 And it’s time for the first group, Uni5. They are singing Steps’ Last Thing On My Mind. Why are we not surprised? 20:54 Pete Waterman doesn’t like them. Guess they can kiss goodbye to that ticket to Oslo then. 20:57 Esma is on, singing Donna Summer. Now this is a bit more like it. She’s got the look of a Eurovision diva AND she can sing. Pete, do the decent thing…. 21:00 Now we kind of like Josh as well despite our initial trepidation. That could have been more to do with the use of the words ‘I’ll be singing a Jason Donovan song,’ mind…..
21:05 And Miss Fitz round off the first part of the show with more Kylie. Girls, I don’t care if one of you is Norwegian and Simon Cowell didn’t shout at you on The X Factor, you’re rubbish. 21:08 Just enough with the Abba medley already…..
21:15 La Waterman has spoken. And your finalists are – Esma (yay! ), Alexis (double yay!) and Josh (wahey!) Good call. All the crummy acts have been sent packing, which goes to show just how much sense this format makes. You can guarantee the public would have voted for one of the groups and sent us plummeting to the bottom of the scoreboard once again. 21:20 It’s nearly time for THE SONG. 21:22 The song is called That Sounds Good To Me. But will it? 21:23: That sounds, er, OK to us…. 21:24: We are bopping. Helps. 21:26 We’d be quite happy with any of these finalists but it is beginning to sound like a boy’s song to some members of Team Eurovision. 21:28 Esma is doing well, she’s – oh no, she has blown it, and apologised live on stage! Which leads us to think perhaps she isn’t the one – if that happens in YCNY how would she fare in front of 20,000 people at the Telenor Arena? 21:30 And finally it’s Josh. He looks happy, he looks relaxed! Quite why he is wearing Pavel Turcu’s old cast-offs is another matter entirely…..
21:35 And the phonelines are open. Cue 15 minutes of random guff. 21:44: The Sugababes are performing. This is a good tune, can we send this one? 21:47 Love it when they drag out all the old clips. There are some here even we hadn’t seen before, like the Austrians and the football helmets. That playing the watering can one comes out every time there is a Eurovision show to be filled however. Wonder if that man has ever lived it down? 21:50 The phonelines are closed. Ooooops, we forgot to vote. Oh well, don’t suppose it’ll matter…..
21:51 Oooooh, it is Pixie. And he is whipping the crowd into a frenzy with his 2009 winner Fairytale (rumours that he was earlier seen scooting round TV Centre trying to get his photo taken with as many random newsreaders and reality TV stars as possible have been staunchly denied. And if anybody doesn’t understand this we refer you back to our 2009 coverage….) Just one question though, does he not have any other song he can perform? I mean c’mon, it’s been a year, he must have come up with something already! 21:55 And the results are in! 21:56 Esma has finished third. She is swiftly despatched as we establish a bloke will be representing us this year. But will it be Alexis – or Josh? 21:57 ‘Tis Josh! And yes, he looks shocked. As you do. 21:58 Josh reprises the song, which will of course stick in your head and drive you mad for at least the next 17 years even after it, with almost crushing inevitability, finishes 14th or something. OK, it’s not quite as bad as we were expecting but we still can’t help thinking that it might have been left over from when Steps recorded their last album. We do hope our predictions are wrong, but we shall no doubt see…..
21:59 Bored now. Anybody know what’s happening in the Greek final?????? ?